Masterbuilt Aluminum Turkey Fryer 30 qt. Heavy duty propane turkey fryer will last for years. 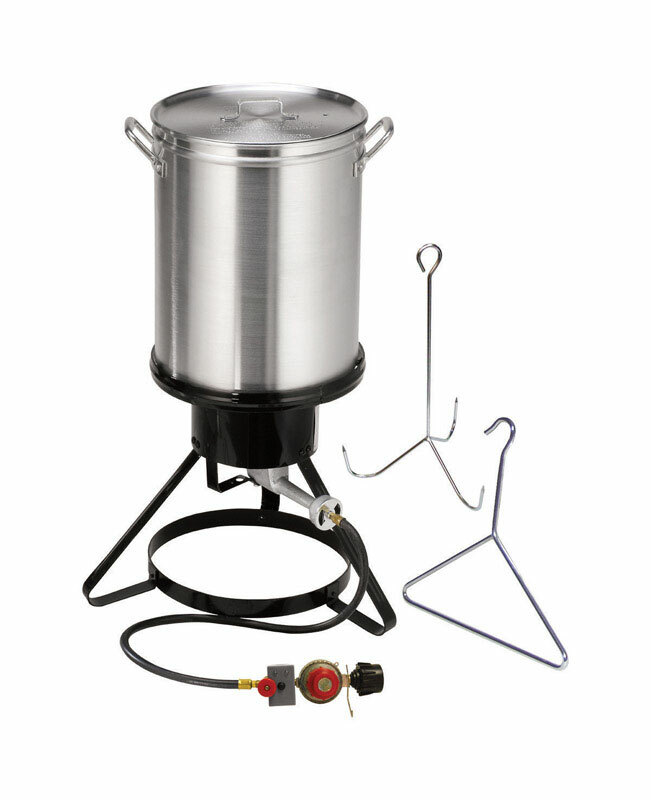 Extra large 30qt pot allows you to fry turkeys up to 18-pound. Electronic timer with automatic shut-off prevents unattended fryers from overheating. Stainless steel thermometer included for consistent oil temperatures. Includes a turkey hanger hook and a wide-handle lifting hook for safely lowering turkeys into the cooker.